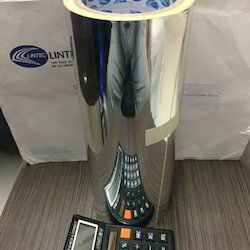 Offering you a complete choice of products which include chrome finish polyester film ( self adhesive), silver matt polyester film and mirror finish polyester label material. 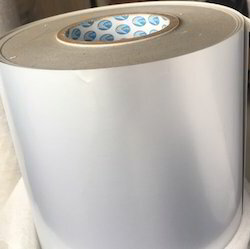 This is self adhesive 50 u silver Matt polyester with 120 micron liner for industrial label application. This can sustain 150 o temperature. This can be print with Screen & digital print. 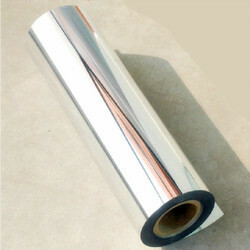 Self adhesive mirror polyester for decoration & dome label application. Available in 50 & 100 u thickness. 120 gsm lay flat liner . Packaging Details: Roll to roll or Sheet form against order. Looking for Roll label media ?